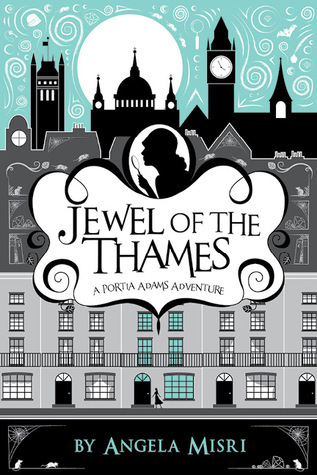 If you, like me, are keen for more Sherlock Holmes-inspired tales and 20th century-era YA mysteries, then Jewel of the Thames may be for you! Misri has created what I think is an intriguing take on the legend of Sherlock Holmes, bringing promising charm to a beloved (and very copied) oeuvre. As the description notes, our main character Portia Adams comes suddenly into the inheritance of 221 Baker Street- the famous dwelling of Holmes and Watson- forcing her move from Toronto to London in the 1930s. With her mother recently deceased and no one answering questions of ‘why’, Portia takes it upon herself to figure out her links to Watson and Holmes. Mrs. Irene Jones, a formidable and charismatic older woman appointed as guardian of Portia, remains relatively close lipped about Portia’s inquiries into the famous duo. While investigating her own lineage and her mother’s possible deceptions about her true relatives, Portia slowly becomes a force in helping out Scotland Yard with a number of cases. I appreciate a good story featuring an independent and resourceful female protagonist, and the character of Portia Adams is precisely that. Portia is written as a very capable, highly observant, intelligent woman from the get go. With generous monetary help from Irene Jones, Portia begins to study law at university, so her jump into police investigation flows wonderfully with the story. Additionally, the end of the novel closes with a great reveal from Irene Jones, leaving quite a bit of room for more intricate- and possibly higher-caliber- mysteries. I will say that those just looking for rip-roaring, high-speed sort of a mystery (or mysteries) might need to look elsewhere: Jewel of the Thamesis rather careful in its pace, build and climaxes. This is not necessarily a bad thing, though I hope for future Portia adventures and mysteries, the pace and plotting clips up a little bit! Fans of Y.S. Lee’s fantastic historical The Agency series (a favourite series of mine); Jennifer McGowan’s Maid of Secrets; Canadian author Kit Pearson; cozy mysteries; or BBC mysteries might especially enjoy this novel.